We’re a small team of creative and imaginative problem solvers located in beautiful Vienna, Austria. Our work is well-thought-out, pragmatic and user-centric. Our office is located in the very near of the Mariahilfer Straße at Zollergasse 2/18, 1070 Vienna, Austria. For inquiries please contact us via Email to office@abloom.at. If you want to reach each one of us individually, feel free to download our vcards. abloom is registered as 282764 f on the commercial court of Vienna • VAT ID: ATU 62933801 • Professional Association: Advertisement • All trademarks and names used on this website are the property of their respective owners. Together with our friends we're creating an open, web-based alternative for publishing scientific research. nextjournal makes it easy to run simulations, collaborate with peers and simplify peer review through reproducible results, right in the browser. iCostYou, a little and fun time tracking app we built together with Samo. It's free, check it out. 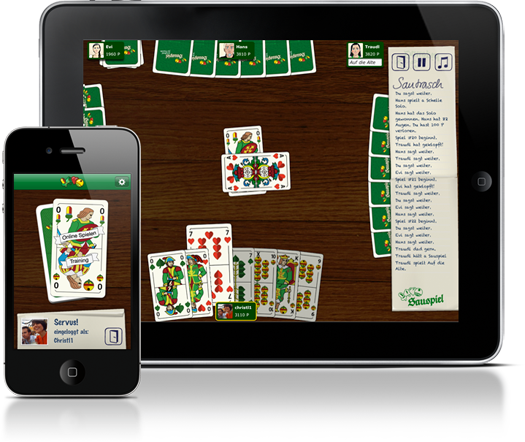 Our friends over at Sauspiel just submitted their awesome iPhone and iPad Schafkopf app to Apple for review. We helped them out with some CocoaTouch programming as well as UI design. Check out the app page for more infos and screenshots! 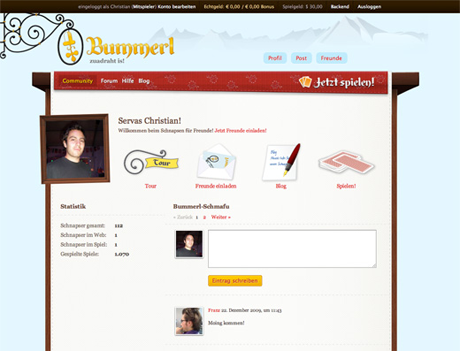 Most recently we launched Bummerl — zuadraht is!, an online gaming site for Schnapsen players. 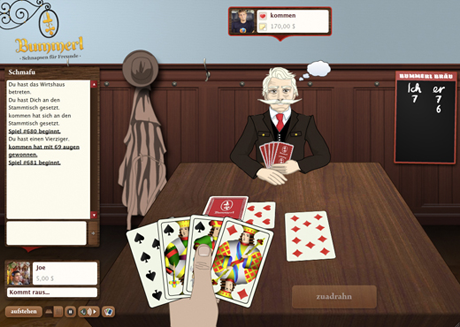 As Schnapsen is one of Austria's most traditional card playing games, it was quite a task to capture the true spirit of the game and it's players and incorporate it into the design and game-play experience of Bummerl. Since it's inception in December 2009, we're at almost 700 users now with a total count of over 50.000 played games. This seems like a quite good growing-rate considering that we launched the game to the open public at the beginning of February 2010. Feel free to sign-up and start playing if you're familiar with the game — it's free! Play a couple of rounds, get to know new friends and make sure to let us know what you think of it. Without further ado, here some screenshots and a snapshot of our office while we worked on the design for the game. For the curious of you, here's a tour of what Bummerl offers you and the official Bummerl blog. 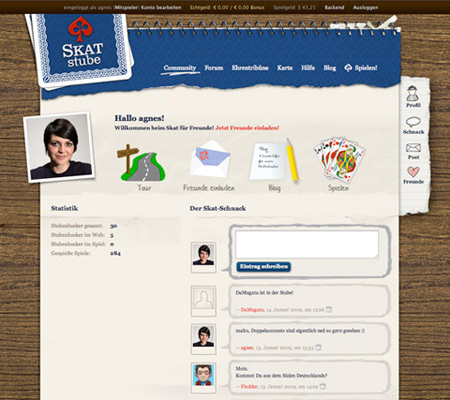 We’re proud to announce the launch of the Skat-Site Skatstube.de. Skatstube is currently in public beta and we’re still busy working with their team to provide the best German online community for playing Skat online. We’re still busily working on freckle. Yesterday our friends from Beanstalk launched their freckle integration. Now you can track your time directly via Subversion commit message. A big thanks to the guys at Beanstalk for the awesome collaboration! 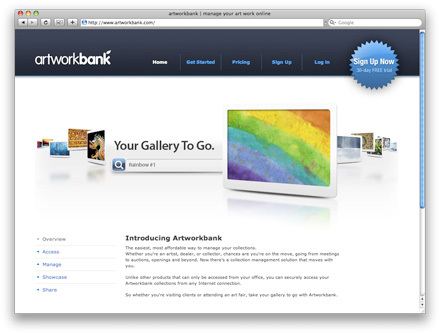 Recently our friends at Artworkbank launched their web service – a site where galleries and collectors can put photos and descriptions of their artworks and share them with customers and partners. Amy did a Jump Start Credit Card Processing Cheat Sheet for this year’s Ruby Advent. It is based on experiences from our work on freckle. We know we're a little late to our own party, but now that the dust has settled a bit, we'll give you a short intro about freckle, our first product we built together with our friends from slash7: Amy and Thomas. 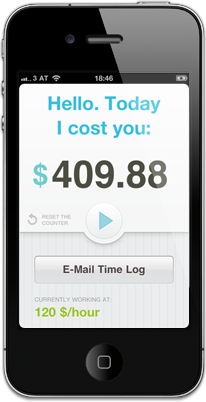 Freckle is a software-as-a-service product which makes time-tracking and report-creating easy and fast. Period. For us, the main reason we wanted to build a time tracking app was that there just wasn't any app out there which was easy enough for us to actually use the product and thus, track time. In all the time tracking products we tried so far, we didn't find any product which was different in the way you enter time. They only differentiated themselves from the others on the surface but never in the process. As Tim Bray puts it in Build It For Yourself we knew, we had to sit down and build something which makes it easy for us to track our time just the way we want to. Coincidentally, Amy and Thomas had exactly the same problem which then led to an awesome collaboration between us. With freckle we created something which kind of rethinks the way you're used to enter time. Freckle comes with 3 paid plans and 1 free plan and offers a free 30-day trial period for all paid plans. Be sure to read our manifesto and subscribe to the freckle blog or follow us on twitter for product updates. Freckle is powered by the latest and greatest Rails 2.2 and runs on Passenger (aka mod_rails). We utilize Exceptional for hunting down bugs and newrelic for keeping an eye on performance. For UI enhancements and animation niceties we use the in-the-works scriptaculous 2 (which will have it's own exciting announcements soon) as well as the well-established Prototype framework. Give freckle a try and expect more soon. The last couple months have been pretty busy for us, with a lot of visits to our friends in Berlin, a week in Spain and a few exciting new things to launch in the coming weeks. This blog post, however, is about a T-shirt we recently designed for our good friends over at the Tupalo office. 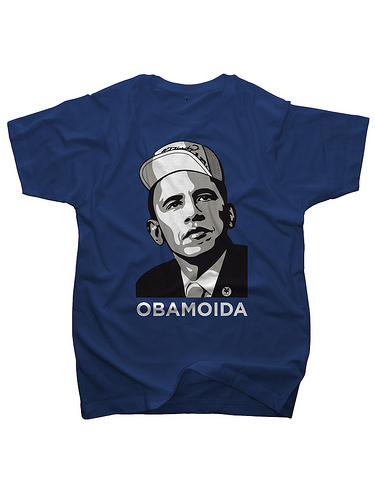 Mainly about celebrating the USA's 44th president-elect Barack Obama, this shirt is also a special take on Austrias new-ish 'Krocha'-subculture (german), which uses the expression "Bam oida!" for nearly everything new/hip/cool/awesome and therefore in every second sentence. Order one over at the Merchzilla store or sign-up as a Tupalo user and get the chance to win one.